Senior Editor of The Atlantic's Photoblog "In Focus"
Join this photography blog pioneer for his talk about the connections between storytelling and photography, his background in web development, and how it all comes together online through The Atlantic’s “In Focus”. Alan Taylor created the successful news photo blog “The Big Picture” for The Boston Globe in 2008. 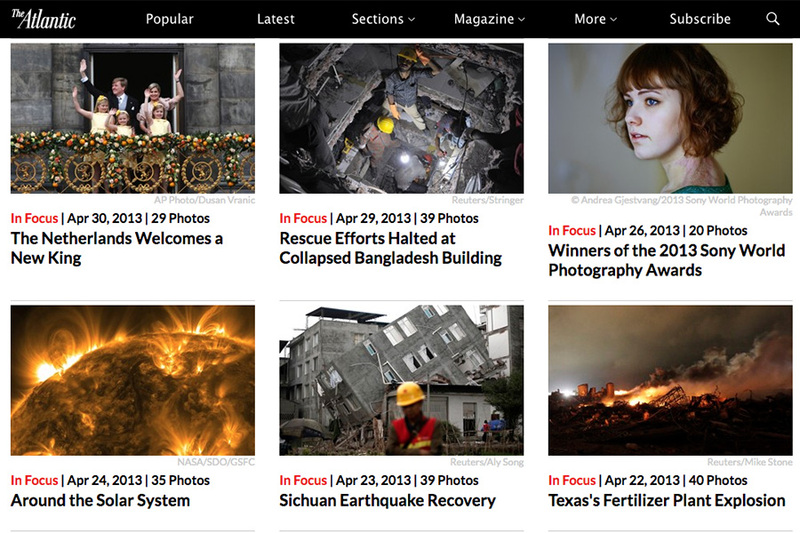 He ran the site for two years before joining The Atlantic to start “In Focus,” another photojournalism blog, in January of 2011. Formerly a web developer, Taylor combined his love of storytelling and photography with the web skills he’d developed to create a new platform for visual storytelling.